So much has been said about the Age of Aquarius throughout my writing, but there is still a great deal more. Before we go any further let’s take a look at the different types of energies that are influencing us during any given age. At present we are still struggling with the change of energies between two signs that are so profoundly different in their approach to life and yet on the spiritual level of life are responding to each other very well. Pisces as a mutable Water sign is receptive and feminine. First and foremost it is about the development of the world of our feelings and emotions, the soft and sensitive, dreamy and otherworldly realm of the soul. The energies of the fixed Air sign Aquarius are in sharp contrast with it. They are purely of the mind. People who function purely on the mind level, without the beneficial influence of their soul they are bereft of feelings. As a result they can be exceedingly cold and detached, to the point of downright cruelty. The three Air signs, Gemini, Libra and Aquarius, serve the training of humankind’s mental faculties of understanding. High among them rank all kinds of communication, so we have to learn how to express ourselves in writing and this skill enables us to read other people’s messages. Evidence is appearing everywhere that during the Aquarian Age the progress of humankind’s intellectual capabilities is moving ever more into the foreground of our attention. We have found out that thinking is the greatest power in the whole of Creation and with this discovery the time has come for learning to control our thought processes and practising things like mindfulness and positive thinking. Among many other things Aquarius is the sign of technology and communications, friendship and siblinghood with all life. Equipped with the gift of hindsight, with which we are blessed in the year 2016, the time when I was putting the finishing touches to this new part of my jottings, it could clearly be seen that the Age of Pisces really had ended about 1900 AD. 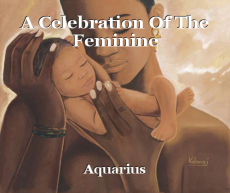 This means that the Age of Aquarius has been with us for some time now and it can be clearly seen everywhere in our world that the influence of its energies are growing increasingly powerful. Steered by the forces at work behind the scenes of earthly life and their ideas, humankind’s ingenuity always has been and forever will be without bounds. Nowhere was there more evidence of it than in all fields of technology, especially communications. From its earliest beginnings in the late 1800s it has been speeding up at an ever increasing pace. Looking back from where we are now, one cannot call it anything but breathtaking. As communications would become ever more important during this age, the Morse code and the telephone were invented. This was swiftly followed by the technology for the development of radio, television and the Internet, making ever farther reaching communications around our world possible. The Aquarian Age also brought us the development of travelling by air and since humankind’s first attempts at flying with the help of machinery has been making phenomenal strides forward. The patriarchal influence saw to it that at first the technology involved was employed for producing increasingly sophisticated war machinery so that we could destroy each other more effortlessly and speedily. But it did not take long until the technical scales of our world commenced to tip towards friendlier uses like building worldwide friendship rings with the help of the Internet and things like Facebook, Twitter and so forth. Aquarius represents God’s voice and it is the birthright of every human spirit and soul, in this world and our other world, towards the end of their earthly education to return into the conscious awareness of humankind’s true nature and who and what God really is. The new age brings us a renewal of the knowledge that each one of us has an inner teacher, the living God within or intuition, who is waiting to share Its wisdom and knowledge with us. All we have to do is knock at our inner door and ask for our Highest Self’s help. The present evolutionary phase is going to see the end of all inequalities between the genders and races of our world. The more the knowledge gets around that all of us are God’s children of the Earth, each one with exactly the same rights and responsibilities, the more easily we shall shake off the oppressive forces that to this day exist in our world as a result of the patriarchy’s erroneous belief that one gender or person is superior to the other. The Aquarian Age demands self-mastery and self-discipline from each one of us and if we are willing to practise it and behave in a masterly fashion, as demonstrated by the Jesus legend, the doors to this age’s enlightenment and spiritual freedom are swinging open. God’s great plan of life provides that the Age of Aquarius brings us the truth about every aspect of life. That means the end of all false beliefs and perceptions, prejudices and superstitions born from humankind’s ignorance of God’s true nature and its own. My observations of and insights into the various ages leave no doubt in my mind that this plan has always been unfolding the way it should. Now that the religions of the past have fulfilled their purpose in the teaching process of our world, each one of them will gradually disappear. Decreasing numbers of churchgoers are confirming this. The Age of Pisces has been an age of lies, deceptions and blind faith. It’s good to know that this part of our development lies behind us and that the age of truth has dawned upon our world. For many it has already brought the rediscovery that love is God’s true nature and our own, that love is the law of life and that the reason for our being in earthly life is that we should learn to love wisely, the way God loves all His/Her Creations. This love is one of power, justice and wisdom, handled wisely with kindness and goodness, gentleness and compassion, affection and warmth for all lifeforms. And our human hearts are at least potentially a holy Grail cup for receiving God’s love and giving it to those around us. Human relationships are so important for us because each one offers constant opportunities for learning to love wisely and thus bringing forth the highest aspects of our nature. As we know by now, love is the supreme law of life from which all others evolved. The intention of the highest forces of life has been to get to know through humankind the polar opposite of love and that which is good. ‘I love My Creation and all creatures in it. I will send them out to explore and learn about themselves and Me. To ensure that each one of them is eventually drawn back into My loving embrace, I am passing the law of cause and effect that decrees that everything in the whole Creation has to return to its source. Acts of aggression, oppression and injustice are transgressions against law of love that created negative Karma, which eventually has to be redeemed for the simple reason that everything in the whole of Creation has to balance. That’s why at some time, either during this lifetime or a future one, every bit of our offences has to be made good, by none other than us. 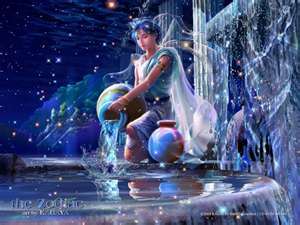 Aquarius is the sign in which humankind’s highest hopes, dreams and aspirations can find fulfilment. Programmed into and imprinted in the deepest recesses of every soul’s consciousness is the desire and dream of escaping from the hardships, tests and trials of earthly life into the state known as Paradise, the oneness with God and all life. That’s also where the wish for meeting the ideal love and lover is located. Our God or Christ Self is this perfect being who understands us and knows and responds to our heart’s most deepest yearnings. This is the one for whom we have searched in vain throughout all earthly lifetimes. Like everything that has ever been in our life, this too fulfils a wise higher purpose. 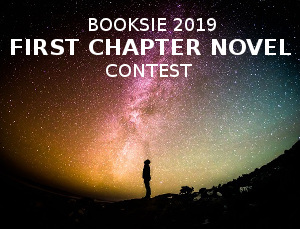 You can read more about this by following the links at the end of this chapter. It is difficult to assess when one of the ages is definitely over and is making room for the next one. Some believe that the Aquarian Age started around the year 1900. When I take my nose off the canvas and look at our world from a higher perspective, I see a great deal of evidence everywhere that the great balancing act of the creative forces of Heaven and Earth, masculine and feminine, darkness and light, positive and negative and so forth, over the ages has constantly been gathering momentum. During the Aquarian Age the Divine marriage between the highest levels of life and our planet will be consummated. And that is the completion of its spiritualisation which has been going on every since humankind entered its realms. I sense that the final curtain on the last act of the tragicomedy of Earth life has gently been descending for some time. Whether the play will finish with some great cataclysm or in peaceful ways depends on God’s plan for humankind. Considering that on the inner level all life is one and each one of us influences everything else, I believe that a peaceful solution is quite on the cards. As with the help and will of God and the Angels all things are possible and nothing happens without them, the energies of the awakening ones could eventually grow so powerful that they penetrate the consciousness of the rest of us deeply enough to rouse their Christ nature from its slumbers. Regardless of how it all comes about, I am convinced that the spiritual aspects of us and our world shall always be taken care of and be safe.